through professional development and collaboration. 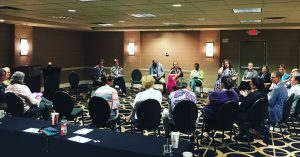 UUAMP is comprised of about 120 members, both paid and volunteer, working in congregations with membership as one of the main components of their ministry. 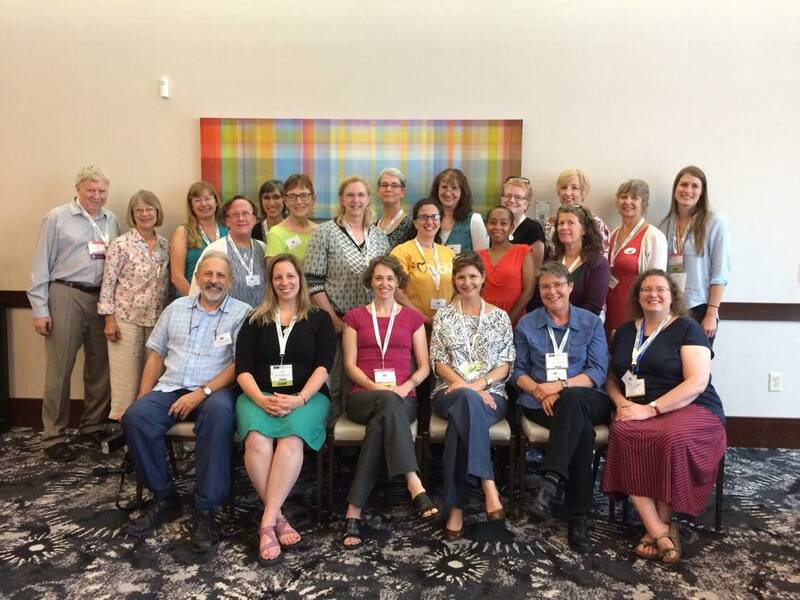 We also welcome UUA staff and the heads of the other UU Professional Groups to join us in supporting our mission and growing Unitarian Universalism as part of shared ministry. We warmly welcome paid staff members, non-paid volunteers passionate about membership and UUA staff to join us. There are many benefits of joining UUAMP! 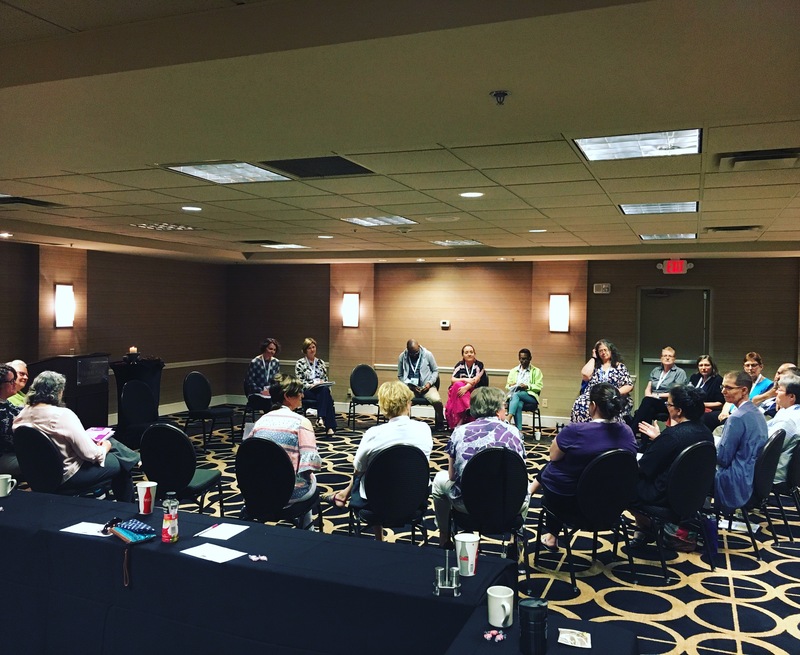 Educational opportunities such as bimonthly Book Discussion Groups and Webinars, Best Practices seminars and workshops at Local, Regional, and National conferences. A Certification Program to bring out the best in yourself and your congregation. Opportunities for professional growth and renewal at our annual Professional Days. Opportunities for interacting with others doing membership work on our UUAMP Facebook Page by sharing both our challenges and triumphs. A website full of practical and immediately usable tools and resources. Networking opportunities for all Members by facebook, email or phone to problem solve. You can fill out the membership application to become a member today! In June of 2010, 10 people volunteered to be on a steering committee to start the work of becoming a UUA related association for Membership Professionals. 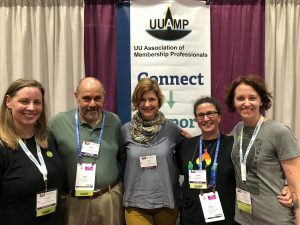 Since our first Annual Meeting and inception at General Assembly in 2011, UUAMP has been very active in promoting shared ministry and collaboration with webinars, book discussions, workshops for regional gatherings and General Assembly, and a certification program. 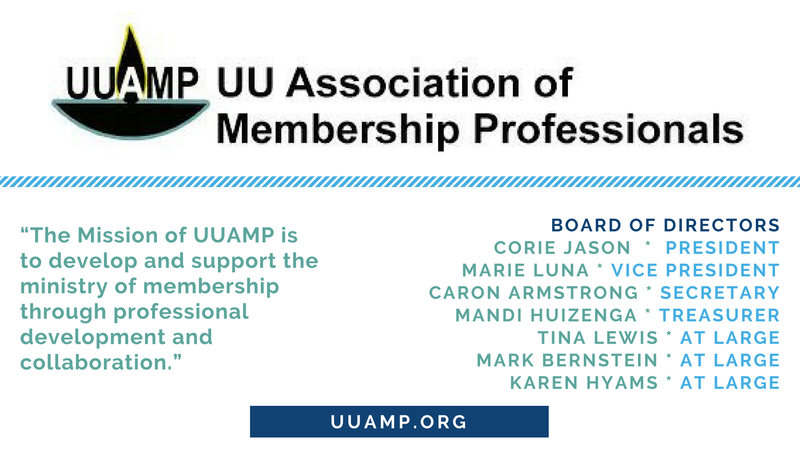 UUAMP is run by an elected Board of Directors as well as a nominations and audit committee. Our work together springs from our mutual passion for membership work. Upon that foundation we build this covenant. The mission of UUAMP is the board’s primary and ultimate guide. We value mutuality, collegiality and collaboration, therefore we promise to bring open hearts and open minds to our work together. We will practice and cultivate honesty, trust, and appropriate vulnerability. We promise to be accountable and to hold one another accountable for effective leadership. We promise to ask for help, to be open to help and to offer help when it would be beneficial. We promise to listen even when it is hard and to speak the truth as we see it, even when it is hard. As a board, we speak with one voice. Our ideal is consensus, but if consensus cannot be reached, we will acknowledge and concede the greater authority to the person leading the area that is most closely affected in the matter at hand and others may agree to stand aside for the sake of resolution and unity. 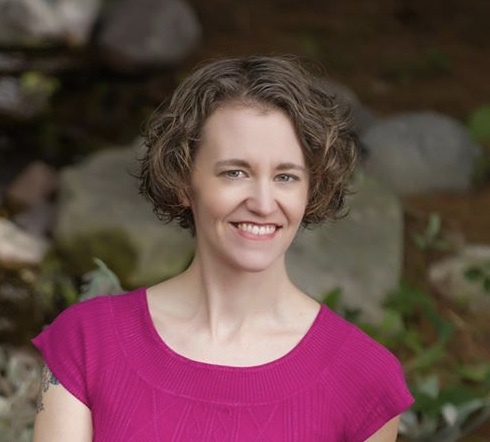 Corie Jason served as the Connections Coordinator at the UU Church of Greater Lansing, MI from 2011-2018. In August 2018, she and her family followed their dreams of living abroad and moved to Kyiv, Ukraine. Corie is happy to help UUAMP in her last year as President! 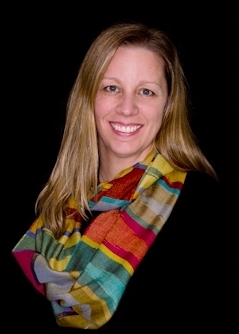 In the past, Corie has worked in non-profit neighborhood capacity building and education. 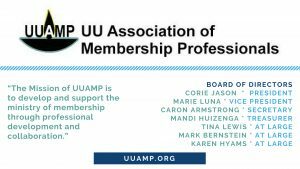 She began her journey with UUAMP as an At-Large UUAMP Board member and is excited to continue the work of this organization. Marie Luna has been the Congregational Life Coordinator at the Fox Valley Unitarian Universalist Fellowship in Appleton, WI since July, 2005. Marie was part of the planning group that started UUAMP and has served as UUAMP President for the past four years before moving into the Vice President role. As Membership Director at Unity Temple in Oak Park, IL, Tina Lewis serves as the lead staff member for membership recruitment and retention, volunteer and leadership development, and congregational life activities. She has been the Treasurer since 2015, and an At-Large member previously. These bylaws were amended, voted on and approved at our Annual Meeting at our Professional Day at General Assembly in 2018.